Archives are often termed as important records. In Novell GroupWise, the archives are usually created to minimize the size of Inbox and save important emails, so that they can be accessed anytime. Archive folder is a separate folder in Novell GroupWise that contains items of the mailbox which are archived by the user. Email clients like MS Outlook save the archives in the mailbox database although the case is totally different with Novell GroupWise email client. In GroupWise, the archive database is not associated with the user mailbox database, and that’s why while migrating from GroupWise to Outlook, administrators have to export archives separately. 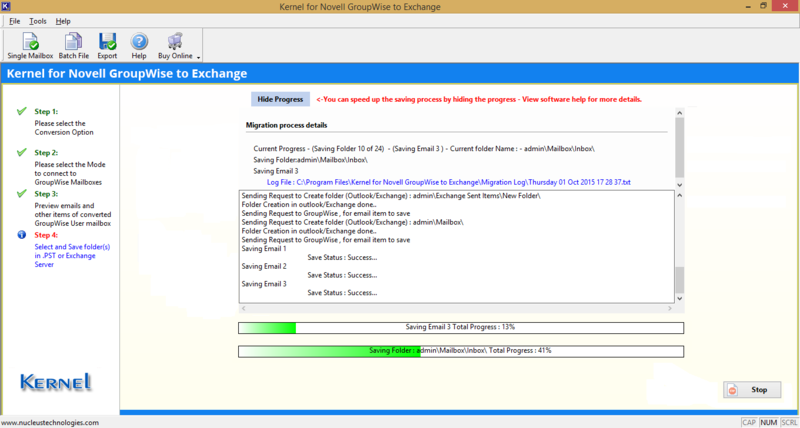 At times, the GroupWise to Exchange migration tools migrate everything but fail to migrate the archived emails. The technique for exporting archive database is different as the folder structures of both the databases is different and makes it tough for the migration tools to migrate them both simultaneously. 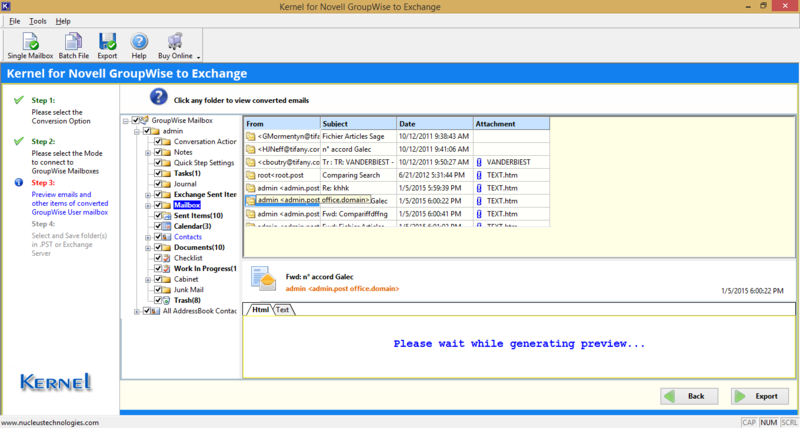 Novell GroupWise creates a folder named ˜archive” for each mailbox and creates a database of migrated items. Therefore, it becomes important that archive database also gets migrated easily without loss of important data. 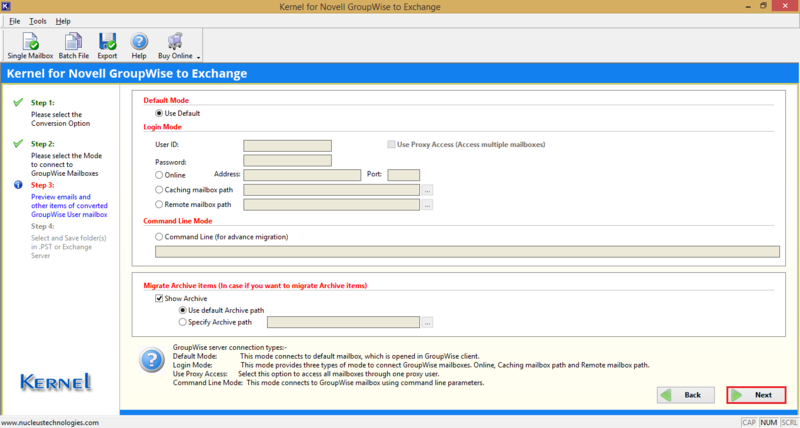 Step – 1: Launch the Kernel for Novell GroupWise to Exchange migration tool. 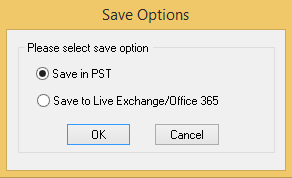 Select the first option among two options to convert GroupWise mailboxes to Outlook/Exchange/Office 365. Step – 2: Now, if you want to migrate the archive items, then check the option of Show Archive and choose among two options of User default Archive path or Specify Archive path. Then click Next. Step – 3: As soon as the software retrieves the archive data, it will place the complete mailbox in a well-mannered tree structure. You can select any file and view its data. Finally, click Export. 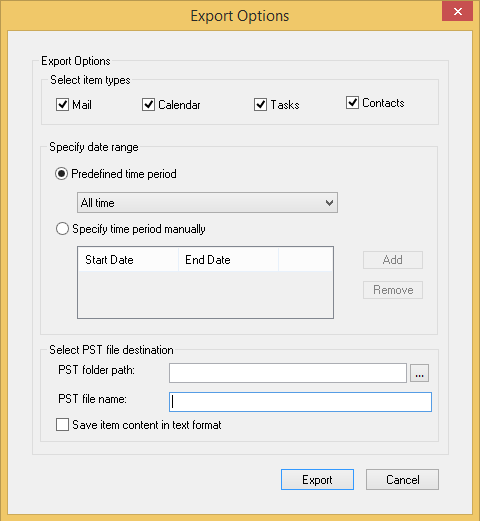 Step – 4: Select the first option of Select in PST and click OK. Step – 5: In the Export Options wizard there are multiple filters which you can use to migrate only the desired data. You can select various item types, input a date-range, browse a destination folder and provide a name. Click Export after filling the required fields. Step – 6: The archive file’s items are migrating. This way, the archived database of your Novell GroupWise account will be easily migrated. 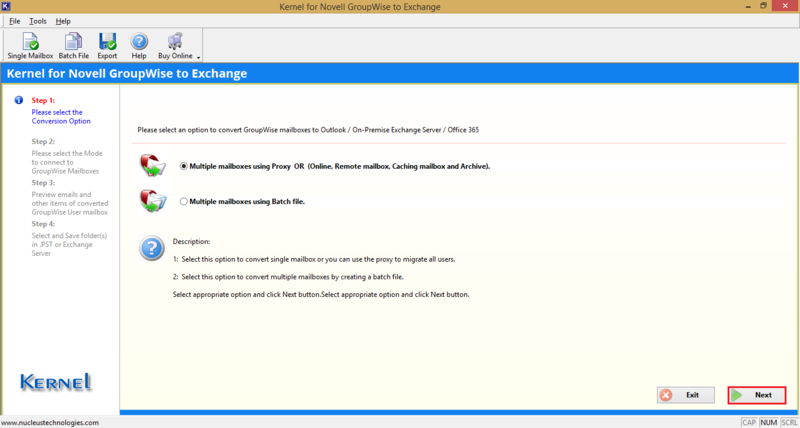 Kernel for GroupWise to Exchange surely works as a highly efficient GroupWise Archive Converter.